Cheap Trick have announced a three-date tour of the UK in June. Following appearances at festivals in Spain and Switzerland, the band will play London, Manchester and Bristol in the last week of June. Tickets for all three shows go on sale on March 24 from 10am. 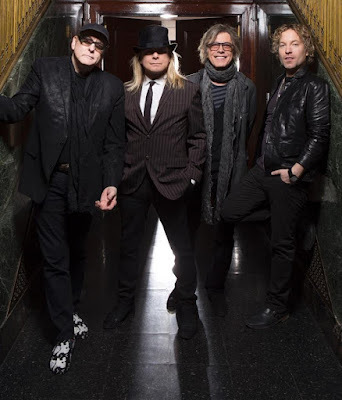 Cheap Trick are currently juggling live dates with work on a new album planned for an early summer release. The project marks the follow-up to 2016’s “Bang Zoom Crazy…Hello”, which delivered the Rockford, IL band’s first studio release in seven years and their first without drummer Bun E Carlos, who left Cheap Trick’s touring lineup in 2010 and was replaced by guitarist Rick Nielsen’s son Daxx. The UK concerts will be followed by a July 7 headline date in Peoria, IL before Cheap Trick join Foreigner on their 40th anniversary tour of North America this summer and Nickelback on the road this fall.